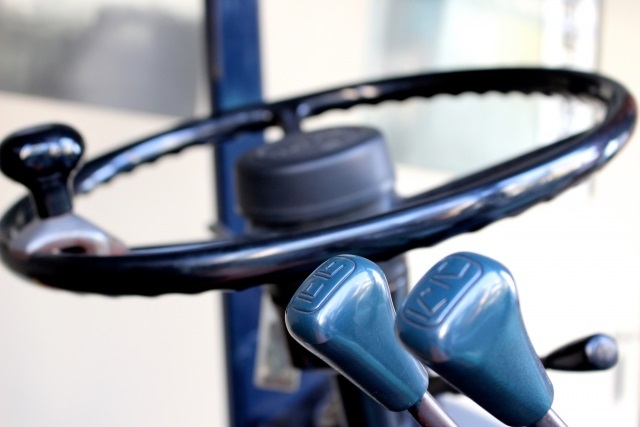 Fork shifter is the mechanism for adjusting the forks position and width depending on the size and weight of a load. 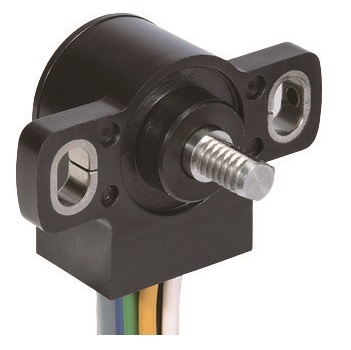 The angle position sensor or linear sensor is used for monitoring the position and the degrees of opening of the forks. The mast is the prop that supports the forks and moves them up and down. 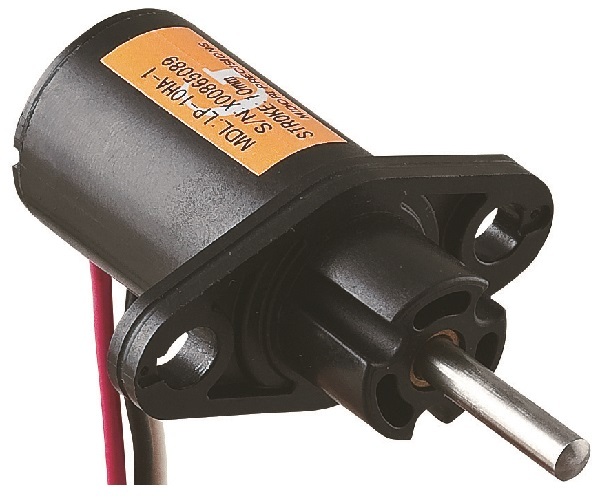 The linear position sensor or angle position sensor is used for the measurement of the height of the forks. 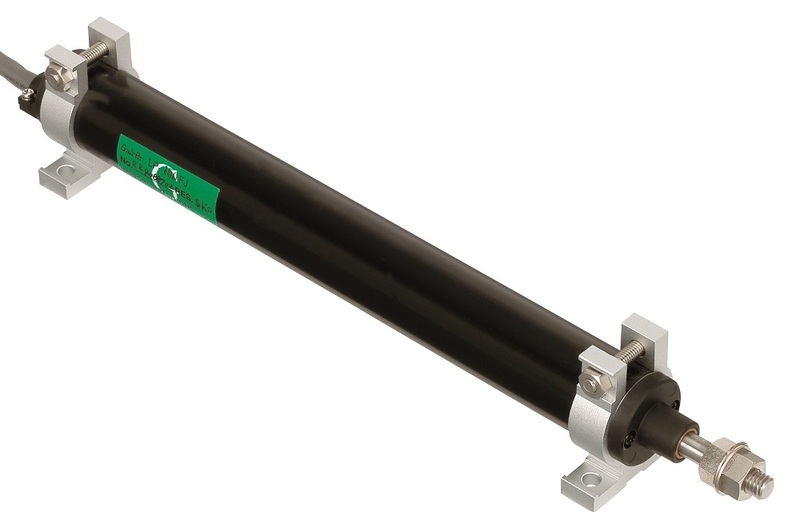 The tilt cylinder is a cylinder for tilting up the mast. 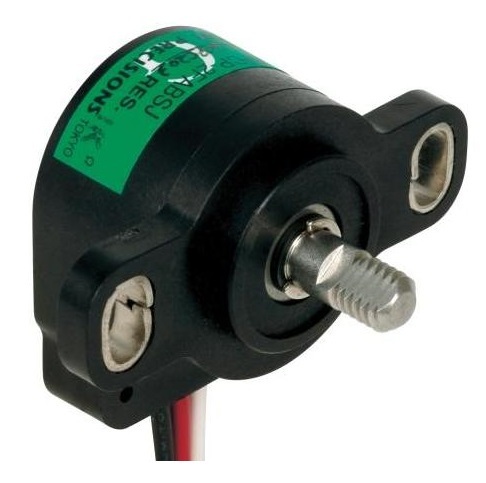 The angle position sensor is used for measuring the inclination of the mast. 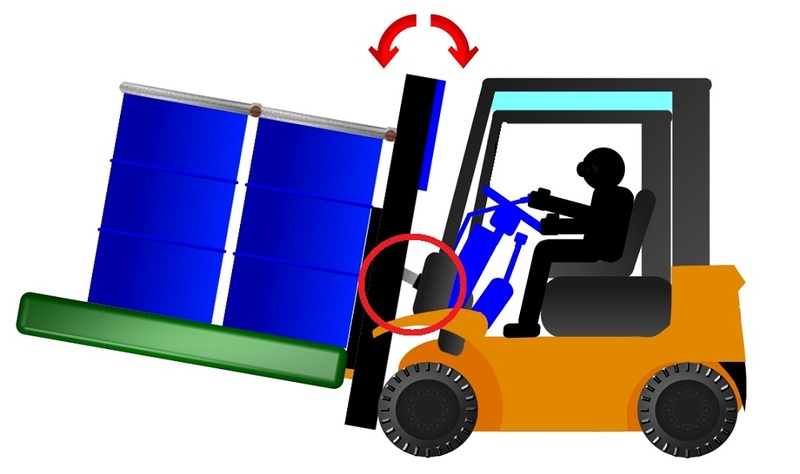 A typical forklift controls the traveling direction by operating the rear wheels. 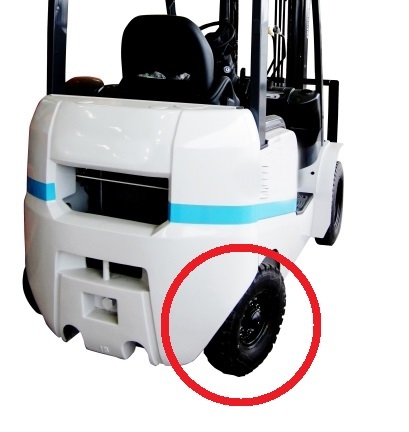 The angle position sensor or multi-turn angle sensor installed on the rear wheels measures or detects the turning angle or direction of the rear wheels. 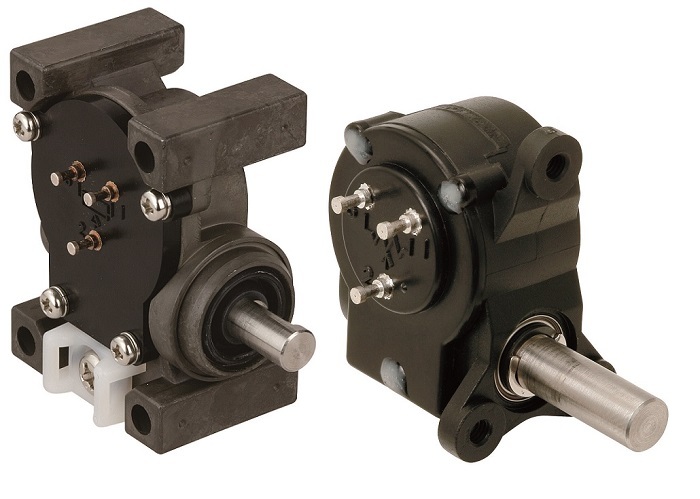 EPS is the system for supporting the steering wheel rotation by using the motor. 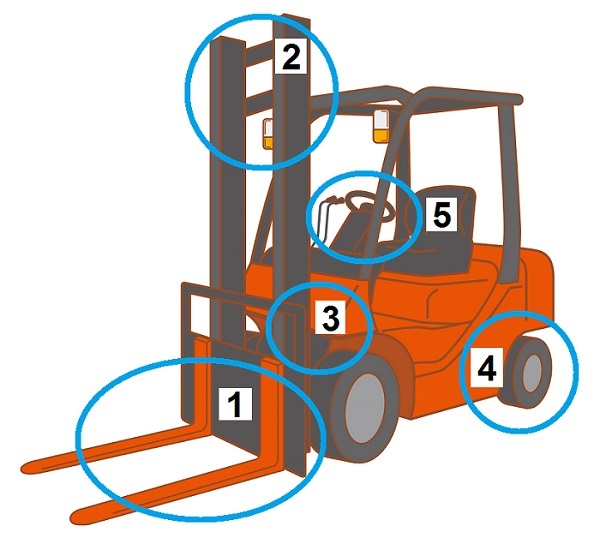 This system has been employed by some forklift. 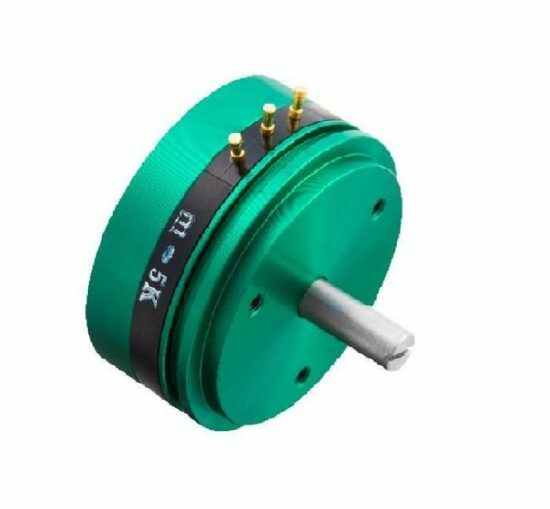 To measure the revolution angle or the number of revolutions of the steering wheel, the linear position sensor or the multi-turn angel position sensor is used. Accelerator pedal and brake pedal are the foot pedal for operating the motor or engine speed. 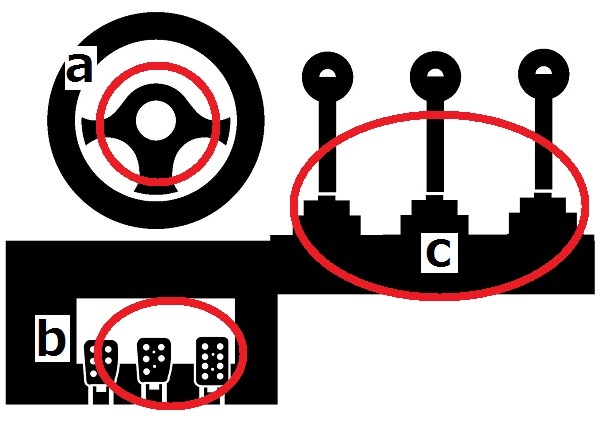 The angle sensor is used for measurement of the stamp-in angle of those pedals. The processes for adjustment the angle of the mast or lifting up the load are operated by using the operating levers including the joysticks. 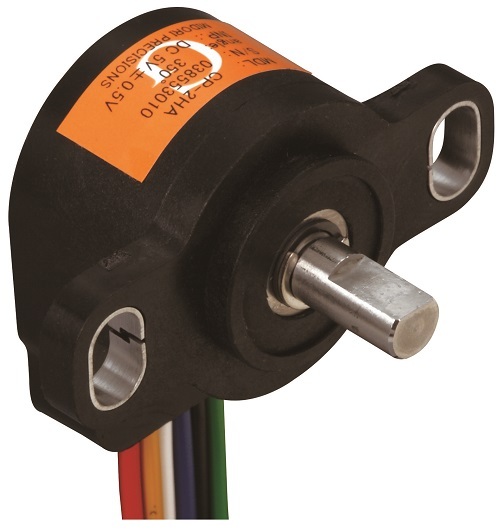 Angle sensor has been installed in these levers for the measurement of the angle of the lever or detection of the direction of lever inclination. 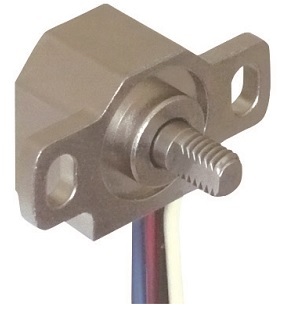 UV-JHA is a Hall-IC angle sensor enclosed in a plastic housing that offers a semi-hollow shaft enabling users to design shaft shape. 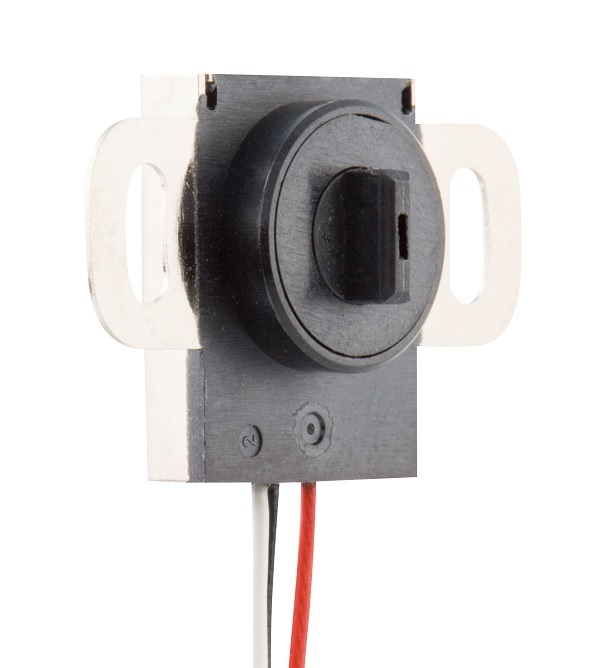 It is used as the angle sensor for electric governor, control lever, and so on. 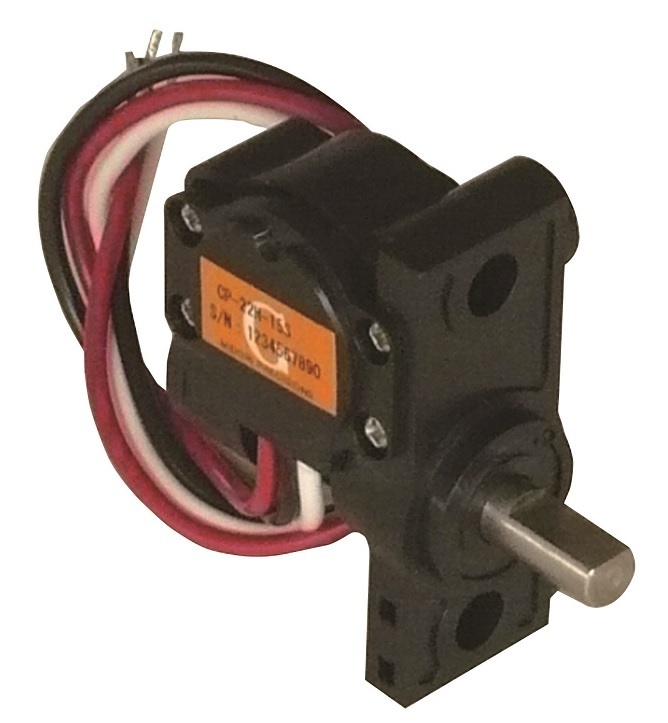 CP-2F Gear Head is a multi-turn angle sensor consisting of the sensing element of the CP-2FJ series and gears. 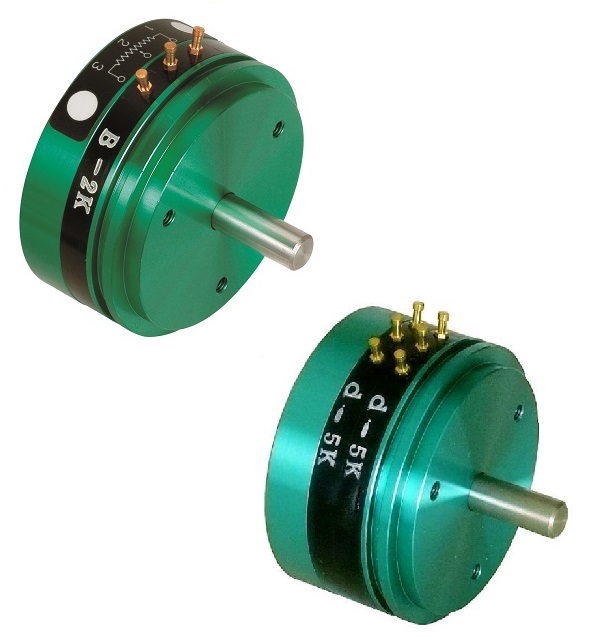 It enables to measure up to more than 360degrees depending on the gear ratio of the built-in gears in the box. 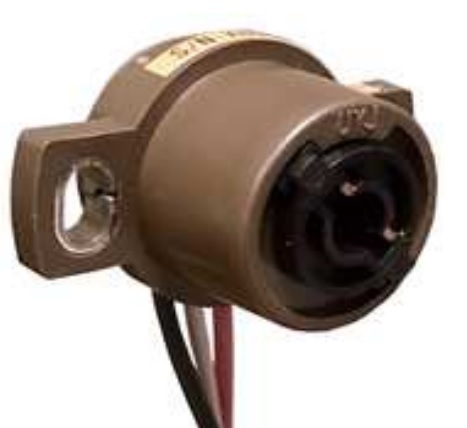 This multi-turn sensor is used as an angle sensor or rotational angle sensor for construction vehicles such as a crane and an angle sensor for the surveillance camera.